Baked Honey Mustard Chicken - Easy, Crispy, and Kid-Friendly! 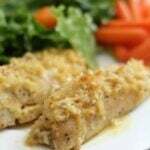 Home » Recipes » Baked Honey Mustard Chicken – Easy, Crispy, and Kid-Friendly! Baked Honey Mustard Chicken – Easy, Crispy, and Kid-Friendly! 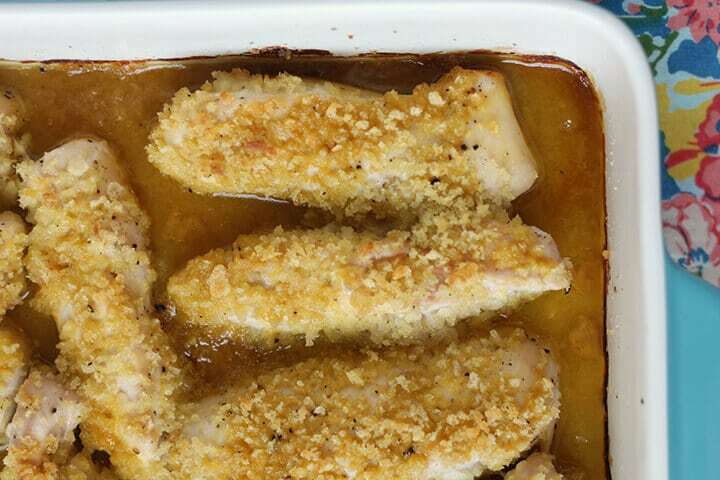 Baked Honey Mustard Chicken is a kid favorite with crispy panko bread crumbs and easy honey mustard sauce. My family gobbles this chicken like nobody’s business and I bet yours will too! 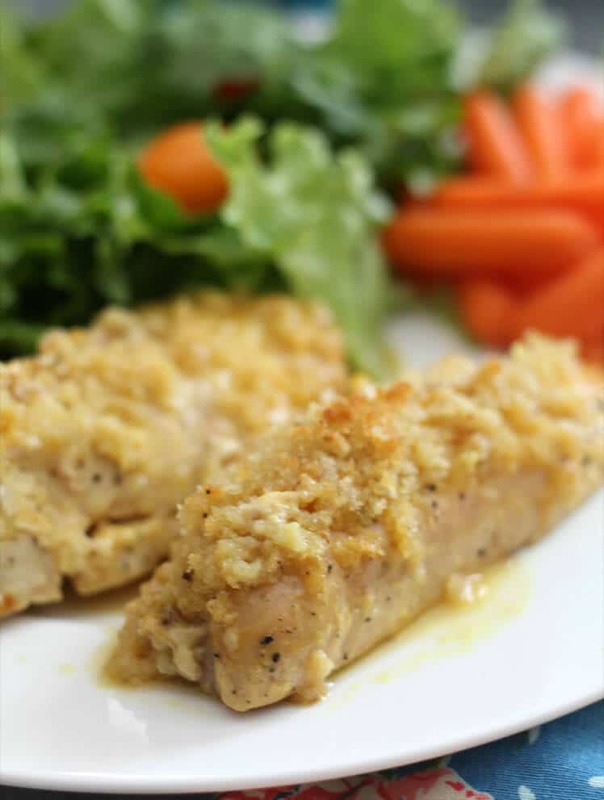 Coming up with quick and easy dinner ideas can be challenging for busy parents, so this Baked Honey Mustard Chicken recipe is perfect when time is a factor. You can make the easy Honey Mustard Sauce and keep it in the fridge for weeks, ready to pull out whenever you want a delicious honey mustard-based recipe. My grandson loves to dip his chicken tenders in honey mustard sauce, so I made these easy honey mustard chicken tenders that are already coated in honey mustard sauce. Of course, he still wants extra sauce for dipping! The Baked Honey Mustard Chicken takes about 10 minutes to prepare and 30 minutes to cook—plenty of time to steam some broccoli or throw together an easy green salad like this one. Add some rice and you have a perfect, kid-friendly meal on the table in less than an hour! I like to keep some of these containers on hand so that when I have something like this honey mustard chicken recipe that’s freezer-friendly, I can double the recipe and put some in the freezer. On a busy weeknight it’s so nice to be able to grab something nutritious from the freezer and have dinner ready in minutes. Preheat oven to 350º and lightly spray baking dish. 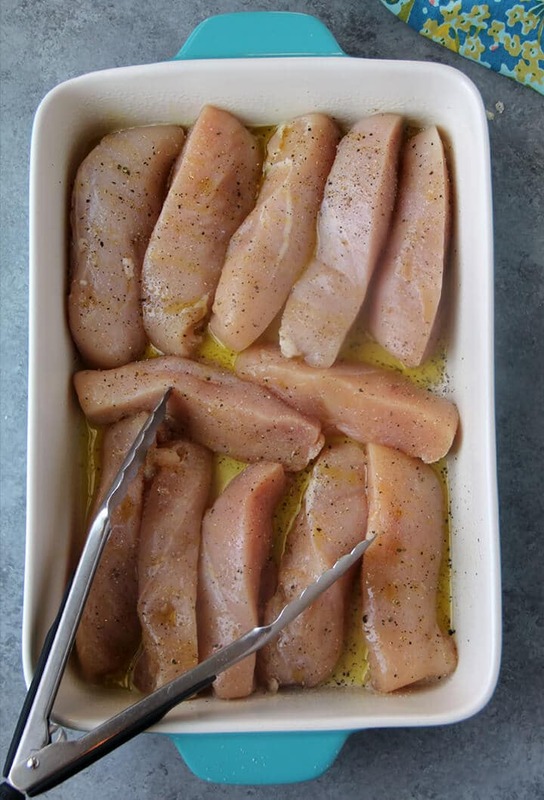 Cut chicken breasts into tenders and place in baking dish. Drizzle olive oil over chicken tenders, then drizzle honey mustard sauce over chicken tenders. Sprinkle with panko bread crumbs. Bake for 20 minutes then increase heat to 450º and bake an additional 10 minutes to brown and crisp the bread crumbs. Serve with additional honey mustard sauce. 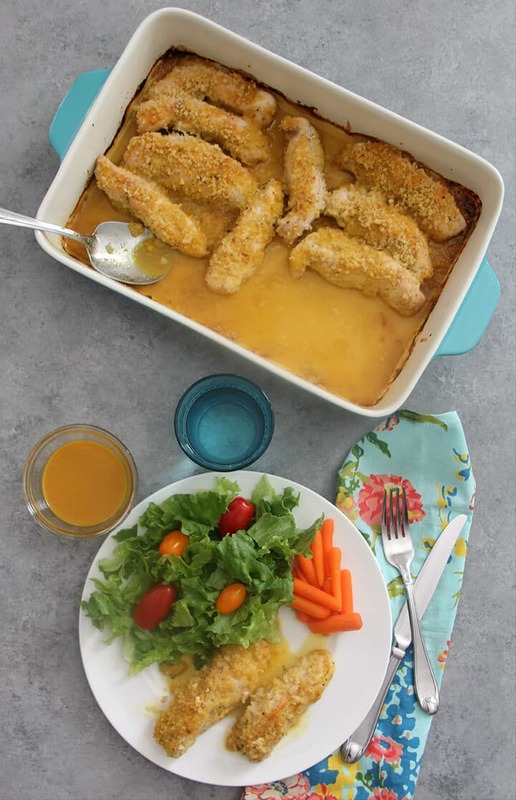 Baked Honey Mustard Chicken is a kid favorite with crispy panko bread crumbs and easy honey mustard sauce. Drizzle olive oil over chicken tenders, then drizzle honey mustard sauce over chicken tenders. Sprinkle with panko bread crumbs and salt and pepper.